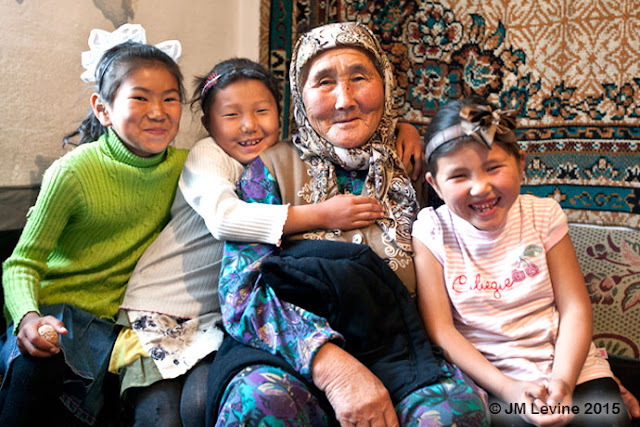 A Kyrgyzstani elder watching the kids while parents are away. My exhibit entitled An International Celebration of Aging will be featured by Gifts of Art at the University of Michigan Health System (UMHS) in the Taubman Health Center South Lobby Gallery from June 15th to August 23rd, 2015. The UMHS Gifts of Art program is a multifaceted arts in healthcare program that presents changing art exhibits in nine galleries that are viewed by approximately 10,000 people a day. These galleries are some of the most widely visited indoor, non-museum exhibit spaces in Michigan. For more information, please visit: www.med.umich.edu/goa. 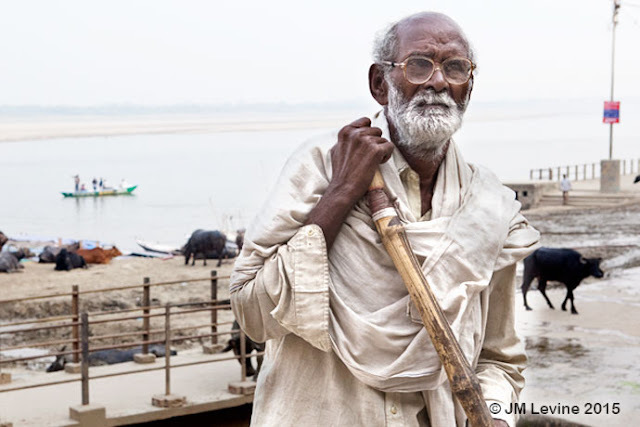 The exhibit features photos I’ve shot over the last 2 decades in my travels searching for positive views of people who thrived into old age. They feature images from Asia, Russia, Central Asia, South America, North America, and India, samples of which appear on this GeriPal post. They celebrate the universality of aging and the contribution of elders to societies around the world. My photos have been published on over 50 covers of The Gerontologist, the flagship publication of the Gerontological Society of America. 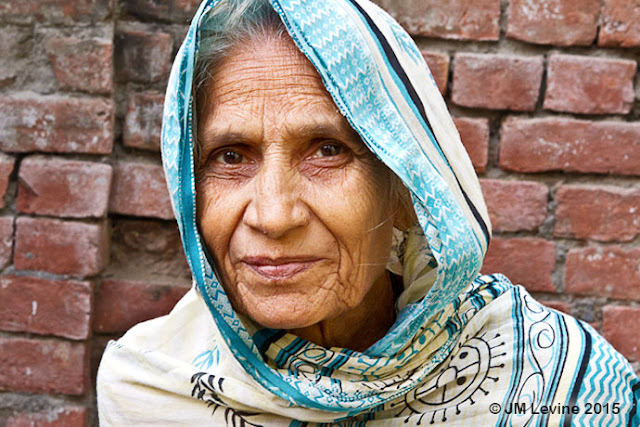 In the city of Benares in India an elderly woman gathers water from a public well for cooking. On the banks of the Ganges an elderly man watches over the water buffalo. 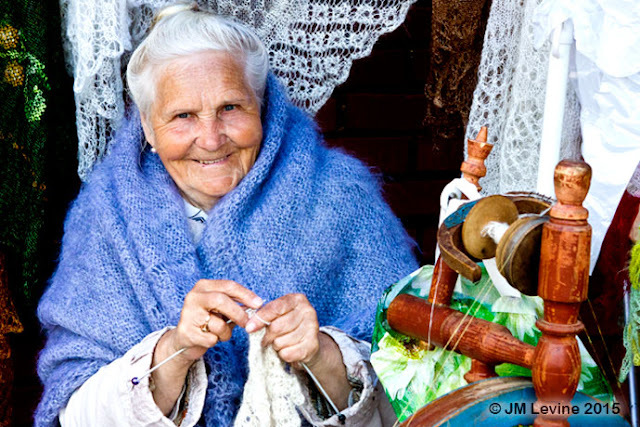 Outside a Moscow cathedral a woman weaves delicate lace. 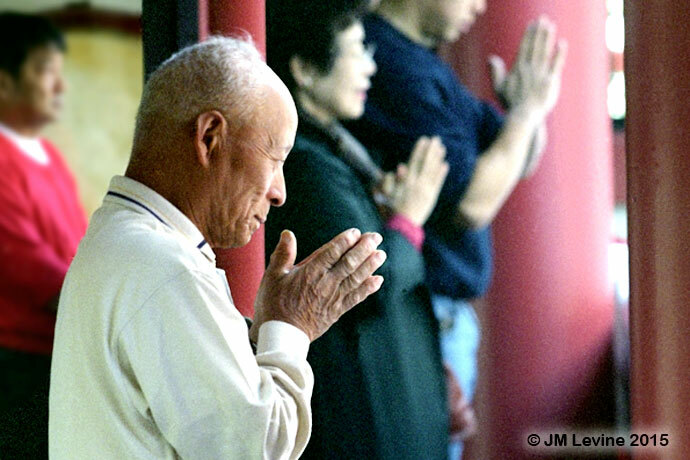 Elders celebrate the New Year on Okinawa with Hatsumode, or the first shrine visit. 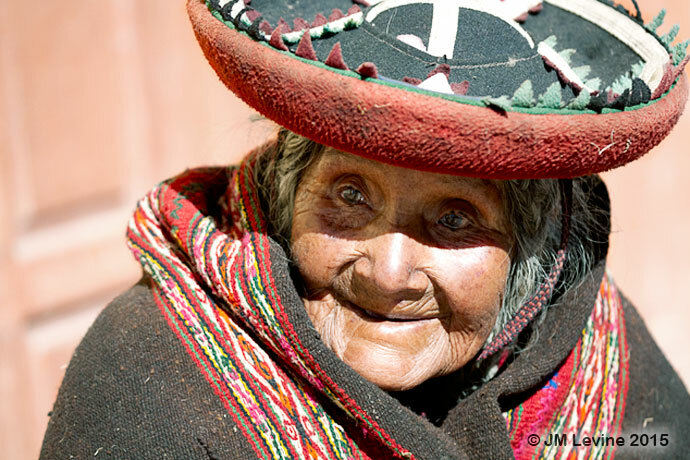 High in the Peruvian Andes an elderly woman shows off her traditional dress. 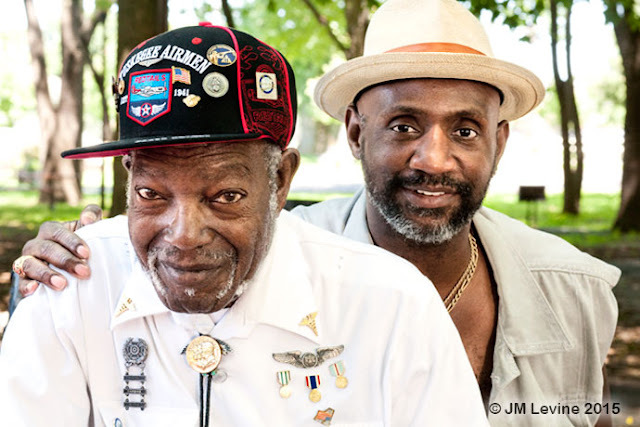 At a 4th of July celebration, a Tuskegee Airman steals the show. That is the Congressional Medal of Honor on his neck. Aging is not a popular topic to look at, and few people embrace images that tweak insecurities about wrinkled skin and thoughts of mortality. I like to show elders who are not shy about being themselves and outwardly reflect their culture in an era where globalism is eroding many local traditions and costumes. I do this as an antidote to the ageism that permeates the mass media's imagery of growing old, which contributes to stereotypes and negativity. With my photos I hope to open a door to understanding aging as part of the life experience and build positive attitudes about growing old. The exhibit opens on June 15, 2015 and I will be there with Caroline Vitale MD for a gallery walk-through on opening day sponsored by the UM Division of Geriatric and Palliative Medicine. Caroline is Director of the Geriatric Medicine Fellowship Program and Associate Professor of Internal Medicine. For further info please email me at jlevinemd@shcny.com.